Students are presented with the appropriate badge and colours at Graduation ceremonies. Extra badges can be purchased from the Australian Celebrants Centre office for $25A plus packaging and posting, by airmail if necessary, at cost. 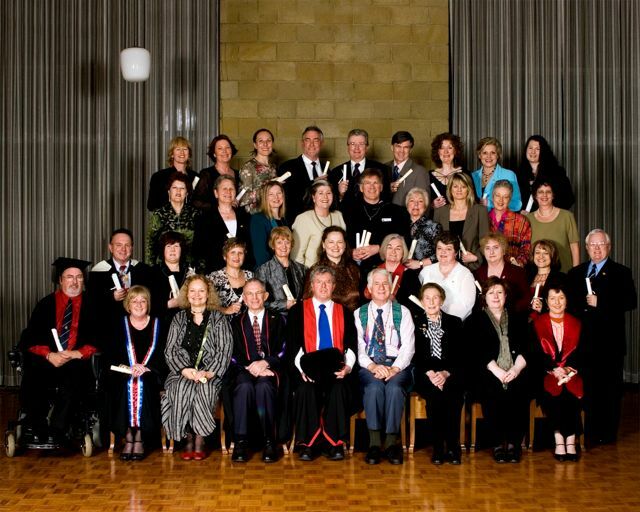 Colours are a good quality ribbon usually and are sewn onto the shoulder area of an academic or dress gown. 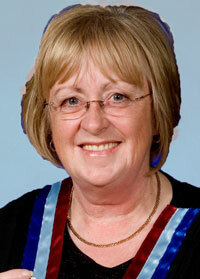 In the photo below Lynnette Olsen is displaying the colours of three diplomas. 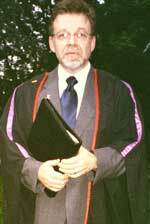 While a graduate from the USA, Barry Klassel of New Jersey is wearing his College Colours which are purple and are sewn onto his academic Gown. The red pipings are colours from his university degree. 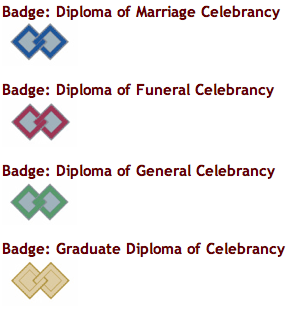 Graduate and Student Celebrants are requested to wear their badges and colours with pride. College Graduation Ceremony Queens College, Melbourne University.